Management planning is possibly the most overlooked step in the forest management process. Too frequently, landowners apply a reactive approach to decision making that leads either to missed opportunity costs, increased direct costs, and limited achievement of objectives or increased tax consequences. Our H&H foresters head off these outcomes by working closely with our clients to identify their objectives, the constraints imposed by the resource, possible tax implications and profitability of various options long before any management steps are implemented. Our management plans span the gamut of complexity from simple single stand harvesting and reforestation recommendations to sophisticated growth modeling and harvest scheduling for large ownerships. As with all of H&H’s services, the first step in the planning process is determining the need. This is typically followed by a verbal or written proposal outlining the methodology to be used and the information to be included in the final product: the written management plan. Plan development is typically billed based on a fixed project cost based on the design of the plan. For more information on management planning, contact an H&H forester to schedule a personal or phone interview. The federal Forest Stewardship Program has been instrumental in encouraging landowners to obtain written management plans for their property. 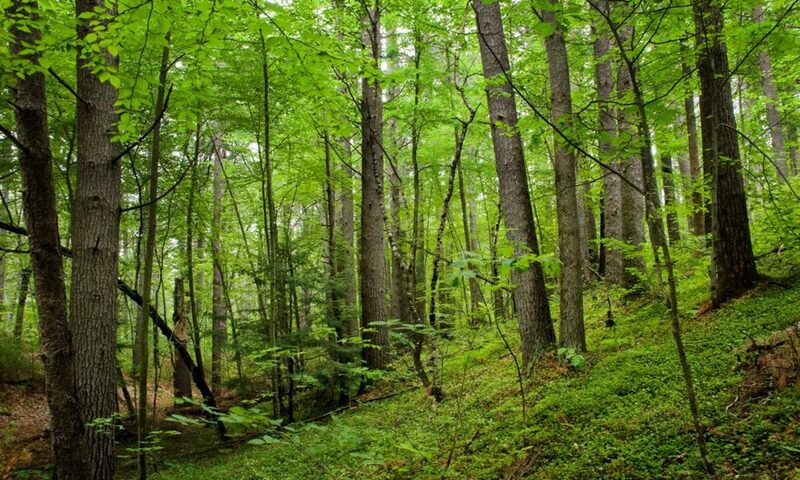 A Forest Stewardship Plans (FSP) is a management plan drafted under a specific set of criterion set forth by the USDA. An FSP is required in order to apply for state Riparian Buffer Tax Credits and for participation in a number of state and federal cost-share programs. H&H is a Virginia Dept. of Forestry certified preparer of Forest Stewardship Plans. Note FSP, by law, may not contain timber volume or value information. In contrast to a Forest Stewardship Plan, our Forest or Wildlife Management Plans (FMP) are a custom product designed to address the specific information and management planning needs for a particular project or client. Where an FSP requires a standard list of components that may or may not be needed, we custom blend our FMP’s to include the most cost effective combination of maps, data, tables, and text in order to maximize the benefit: cost ratio of developing the plan. Plans focused solely on timber management typically include a timber cruise and associated reports, up to date aerial stand maps, stand descriptions, harvesting and management recommendations, and schedules of activities and associated costs / revenues. Like aLike an FMP a Wildlife Management Plan incorporates a custom blend of assessments and information oriented towards habitat and population management of one or multiple species of game or non-game wildlife. A significant percentage of our clients have wildlife management objectives. At H&H we pride ourselves in our ability to blend wildlife and timber management goals into multi-resource plans that maximize the benefits to both timber and wildlife. Our clients in this arena include recreational hunters / landowners, hunt clubs and commercial shooting preserves. No matter what the species of wildlife, the greatest tool in their management is the manipulation of their habitat and no activity has a greater impact than those associated with timber harvesting and management. Our landscape level habitat plans often contain combinations of timber harvest design with new or existing food plot layout and early successional habitat establishment. We apply our knowledge as resource professionals with our life long experience as hunters and outdoorsman to create a cost effective design aimed at attaining your goals. Timber investment plans (TIP) are evaluations of a timberland ownership aimed solely at determining the future potential of a tract or combination of tracts to produce an economic return on investment and layout a strategy to maximize that return. TIP’s can be drafted for tracts already owned, or as part of an acquisition strategy. Inputs can be from existing inventory data provided by owner or seller or can be obtained through a forest inventory designed and implemented specifically for the development of the TIP. Investment plans take into account such factors as existing timber values, underlying land values, investment horizon, target returns on investment, desired patterns of cash flow and exit strategies. A well designed TIP is often instrumental in estate planning and decision making around portfolio diversification. Our in-house expertise in timber tax issues, growth projections and financial instruments means that you can rest assured that what-ever decision you make regarding your timberland investments will be made on a strong foundation of data, cost: benefit analyses, and risk management. All timber is not created equal, neither are timber managers. The decisions you make in managing your forest investments can have multiple percentage points of impact on financial returns. Our goal is to combine our expertise with your assets to make you money. Our TIP’s are living documents that map out a plan for the future. Our services ensure that map leads you where you want to go. H&H’s H&H’s foresters are certified inspectors under the American Forest Foundation’s (AFF) American Tree Farm System (ATFS). Sustainable certification has become an important part of domestic and international woods products markets. AFF’s commitment to sustainability is illustrated in the ATFS. ATFS certification is a voluntary; third-party verified program where under landowners can demonstrate their commitment to sustainable forestry practices on their land. ATFS certification involves an onsite visit, verification of a written management plan, and audit of adherence to a set of performance measures aimed at ensuring the certified tract achieves the principles established by the ATFS. Tree farm plans and certification open the door to a number of opportunities and markets including carbon markets. If you are interested in ATFS certification, contact an H&H forester to schedule an inspection.